Semitec’s range of CRD Current Regulating Diodes (sometimes called current limiting diodes or constant current diodes) offer a very simple way of providing constant current over a wide voltage range. They offer protection, stability and control when driving LED, optocoupler & battery-charging circuits. With a wide range of voltage values from 1V up to 100V our CRDs can steady a current at a fixed value. With Semitec’s CRDs voltage changes, load resistance changes and ripple voltage effects don’t change the fixed current value. Normally creating a current stabilising circuit such as this could would require numerous parts, using Semitec CRDs you only need one simple part to achieve the same result. This offers the advantage of simplifying product assembly and minimise component count particularly in space critical applications and of course cost. 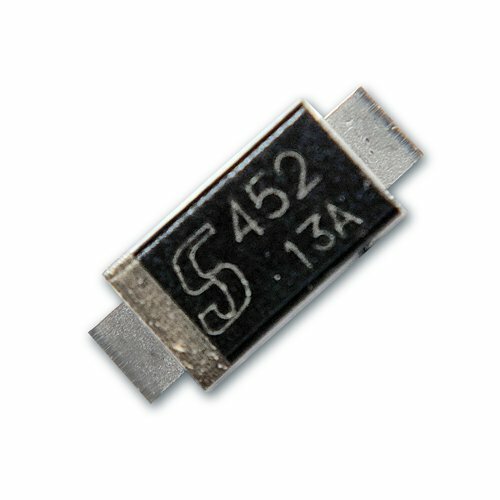 The S-series surface-mount range offers constant current values from 0.1mA to 22mA. Semitec CRDs operate over a wide voltage range and by combining them in parallel or in series with a zener, even higher current and voltage ratings can be achieved.